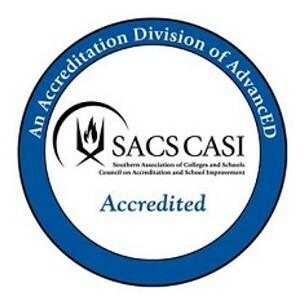 Wayne County Public Schools is accredited as a “Quality School System” through AdvancED and the Southern Association of Colleges and Schools Council on Accreditation and School Improvement (SACS CASI) accreditation division. The AdvancED district-wide accreditation recognizes Wayne County Public Schools’ commitment to systemic, systematic, and sustainable continuous improvement. Wayne County Public Schools understands that increasing student achievement involves more than improving instruction, and can only occur when all the parts of the education system – the district, school, and classroom – can work collectively through a strong academic program, an education-enriched culture, and active involvement and engagement from district stakeholders. As a part of the review, the team interviewed dozens of district stakeholders, including staff, students, parents, administrators, Board of Education members, and business partners. In June 2014, the district received official notice that its accreditation had been renewed.